ICES advises that there is substantial and growing evidence that salmon aquaculture activities can affect wild Atlantic salmon. both through the impacts of sea lice and farm escapees. Both factors can reduce the productivity of wild salmon populations and there is marked temporal and spatial variability in the magnitude of reported effects. The sea louse (Lepeophtheirus salmonis) is a parasite of salmonids that has widespread geographic distribution. Salmon farming has been shown to increase the abundance of lice in the marine environment and the risk of infection among wild salmon populations. There is considerable spatial and temporal variability in the extent of affected areas. Lice are also a serious problem for the Atlantic salmon farming industry and have been so since the 1970s. Laboratory studies show that 0.04-0.15 lice per gram fish weight can increase stress levels and that infections of 0.75 lice per gram fish weight can kill hatchery-reared smolts if all the lice develop into pre-adult and adult stages. This is the equivalent of 11 lice per smolt. This is also supported by field studies. Current marine mortality rates for salmon are often at or above 95%, the causes of which are largely unknown. There are differing perspectives on the impact of lice. In one perspective, the ‘additional’ marine mortality attributable to lice is estimated at around 1%. In another perspective of the same data, losses are expressed at between 0.6% and 39% reduction in adult returns to rivers. The most important factor causing this variability was the level of total marine mortality. The greatest impact from lice is likely to occur on post smolts during the early period of marine migration. Farmed salmon are domesticated and display substantial differences to wild salmon in a wide range of fitness-related traits. These differences may not be reversible. Very large numbers of domesticated salmon escape from fish farms each year. Escapees are observed in rivers in all regions where farming occurs, although the number of escapees varies both spatially and temporally. The numbers of escapees have approached 50% or more of the spawning population in some rivers in some years. There is limited monitoring in rivers away from fish-farming regions. 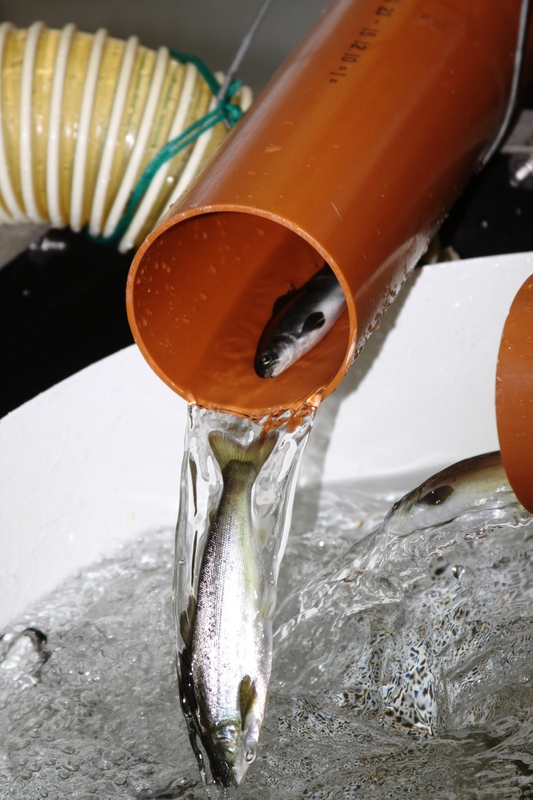 The spawning success of escaped farmed salmon is much lower than in wild salmon. Despite this, a large number of Norwegian wild salmon populations exhibit widespread introgression of farmed salmon genomes. Introgression has also been shown in other countries. The introgression of farmed salmon reduces the viability of the populations in rivers, caused by maladaptive changes in life history traits. The presence of farmed salmon and their offspring in a river has been shown to result in a decreased overall productivity of the wild population through competition for territory and food. The long-term consequences of introgression across river stocks can be expected to lead to erosion of genetic diversity and therefore to decreased resilience. Next Post:Nutrient emissions from aquaculture – national and regional perspective.